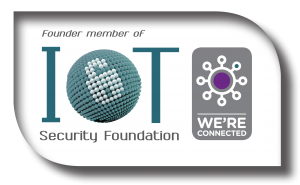 Copper Horse, in conjunction with the IoT Security Foundation are proud to announce that the company will be offering IoT security training. Space is limited on this course, so we advise you to book early. The next course dates will be announced soon, based in Windsor, UK with residential delegates staying 2 nights. Delegates will be treated to a 5 star experience throughout the training course both in the quality of the training and the setting itself. Generous breaks will allow you to meet your course peers and network with other companies looking at how to implement IoT security in their products and services. The course dinner on the first night will give you a further opportunity meet and discuss your fellow course attendees. This course is aimed at IoT practitioners, startups and those who wish to understand how to practically implement security into IoT products and services. The trainers will take attendees through the basics where necessary and will adapt to the skill range of the attendees, providing individual assistance throughout. The course is therefore suitable for all levels of experience and skill. 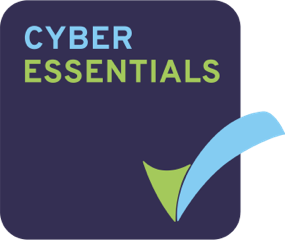 There are no course pre-requisites but it is advised that you familiarise yourself with the IoT Security Foundations publications on which the course is based. An introductory system-wide overview of the technologies that make up multitude of IoT services, from hardware through to software as well as the potential vulnerabilities that this world may bring. Attendees will understand why security matters. Practical Attacks, Threats and Risks to IoT products and services Real-world stories and breakdowns of attacks that have occurred, the impact they had and what measures could or should have been taken to mitigate or avoid them in the first place. This session aims to show the value of security by design and also practical security and business management techniques for managing security. Understand the background and rationale for the principles and how to apply them in a real world context. Understanding and utilising the IoT Security Foundation User Best Practice Mark. Session 4: Securing Connected Products. This session gives and end-to-end tutorial on how to secure connected consumer products, from mobile application security to IoT device security, through to cloud services. This session will allow attendees to witness real-world hacking of IoT, but also to use some hacking tools in order to experience how hacks can take place and the impact they can have. Equipment and software will be provided. Practically implementing a software and hardware update and product lifecycle strategy that works and keeps users secure. Understand the issues and solutions around constrained devices and how to manage them. Understand the background, mechanics and psychology of coordinated vulnerability disclosure and how it is beneficial to your business. 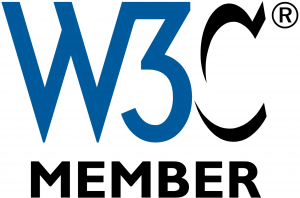 This topic will also cover bug bounties and other aspects of working with security researchers. How to use the IoT Security Foundation’s self-certification scheme, assess and make your product or service secure, ready for certification. Each attendee will be presented with a framed certificate of attendance at the end of the course. The course is run across 2 days and we encourage attendees to take full advantage of the additional benefit that comes with the residential option. Prices are exclusive of sales tax (VAT). David is a Visiting Professor in Cyber Security and Digital Forensics at York St John University and teaches Mobile Systems Security at the University of Oxford. He has worked in the mobile industry for many years in security and engineering roles. Prior to this he worked in the semiconductor industry. He has extensive experience in standardising and developing IoT products and security. His book ‘Mobile Security: A Guide for Users’ was published in 2013. Mark has extensive software experience from embedded development for IoT through to commercial software and test automation for millions of mobile phones. He has been involved in research projects for automotive, IoT, security and smart cities. Mark has 15 years’ experience working in the mobile manufacturing environment for Vertu and Panasonic Mobile. He previously worked in the automotive sector as a software engineer working on Just-in-Time systems for suppliers to Nissan. The course will be held in the luxurious Macdonald Windsor Hotel, which is located in the heart of Windsor town centre and close to London’s Heathrow airport.